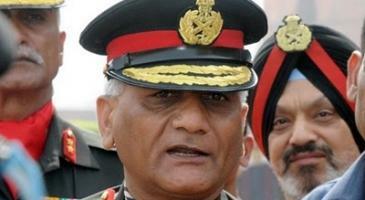 New Delhi : The Central Bureau of Investigation (CBI) on Friday reached Army chief General VK Singh’s office to record his statement on his allegation that a retired officer tried to bribe him in 2010.
in connection with alleged irregularities in procurement and supply of Tatra all-terrain trucks to the Army. Director (Defence Procurement) V Mohan were also quizzed by the agency sleuths for nearly five hours about the deal and supply of trucks, CBI sources said. They were grilled on common issues regarding the procurement and supply of the Tatra all-terrain trucks and their responses were recorded. Mohan, who was the Director, Defence Procurement from 2007 to 2011, has been asked to provide some documents regarding the procurement of components from Tatra Sipox UK owned by Rishi, they said. British national Rishi was questioned for the eighth time during last fortnight. He has refuted allegations of any wrong doing in the supply of truck components which were assembled by the BEML to be supplied to army.